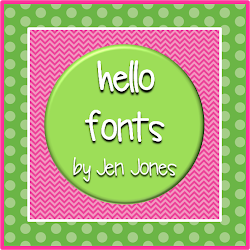 Kindergarten Kel: Back with a Happy Halloween Freebie! I've been so busy with a great class this year, and would love to be able to post about all the fun things we've been doing lately. Problem is, all of those fun things take time and energy and of course I haven't had a lot left in the tank for blogging. 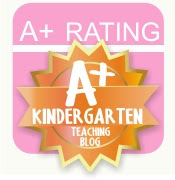 I also have a class blog this year for my parents which is taking up lots of time. So, to my loyal followers, thanks for hanging in with me! I have a color-by-number freebie for you to hopefully make your Halloween party easier at school. I like to have some super easy worksheets on hand that day or even Nov. 1st because you just never know what will pop up, run over time/under time, and how bad the students' sugar high will be! Click the pic to get the goods on TPT. And have a great night! When I clicked download now it just gave me the cover page as a jpeg file. Just wanted to check and see if it was working right since I would love these for tomorrow! Hey Kelly! I'm so glad that I found your blog...it's adorable! I love the bright colors! I am your newest follower and fellow teacher from Minnesota! I teach 2nd grade in Frazee (near Detroit Lakes). Do you know of any other Minnesota bloggers? Greet all your loved ones on this special day with our best Happy New Year New year Ideas for friends. Enjoy Happy new year.